Going down the list of things for us to do with Hedgehoggs' Gardening clients this week is rather quick reading. 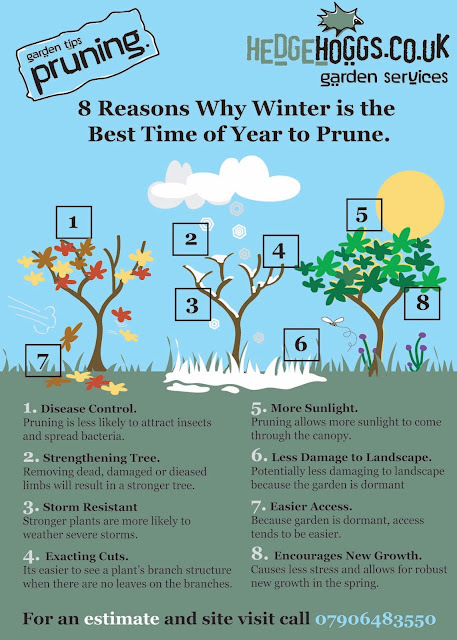 There are many reasons to prune a plant, shrub or tree from improving it's appearance and maintaining a plant's shape to reducing a size of a plant to maintain balance in the garden. 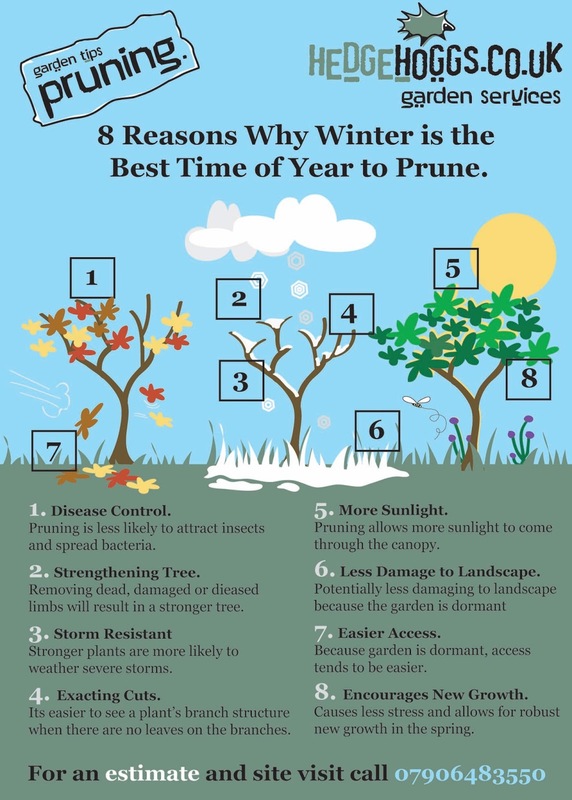 Thinning out the centre branches and removing dead and diseased wood will also help keep a plant healthy. Good air circulation helps keep diseases in check and removing interior branches helps open it up to air circulation. 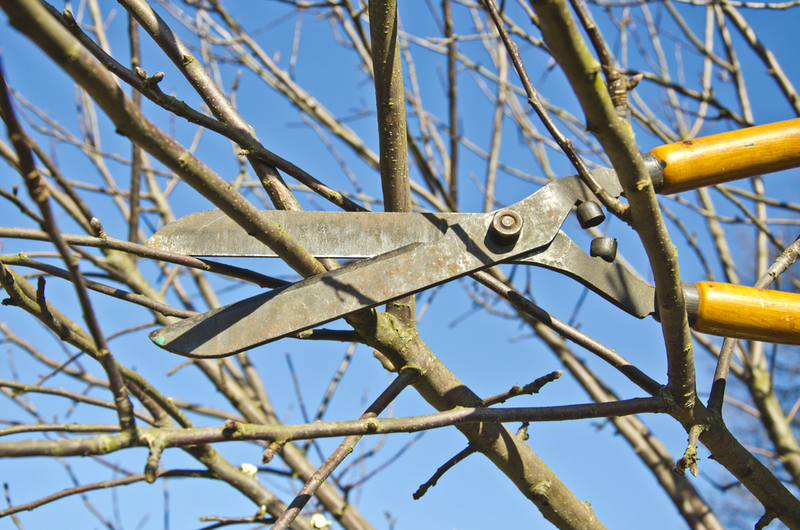 From a practical standpoint, we generally aim to do a hard prune and cut backs in the winter as it's far easier to see what needs to be pruned after the leaves have dropped. 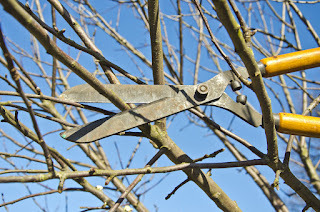 Most importantly for us at Hedgehoggs Gardens, pruning in Jan/Feb when many shrubs and trees are dormant helps to improve plants for more robust growth in the spring. One of the things we aim for is to ensure our clients' gardens look their best year round. And like most things in life, a successful spring and summer garden is often the result of hard work and planning before the blooms start to show.